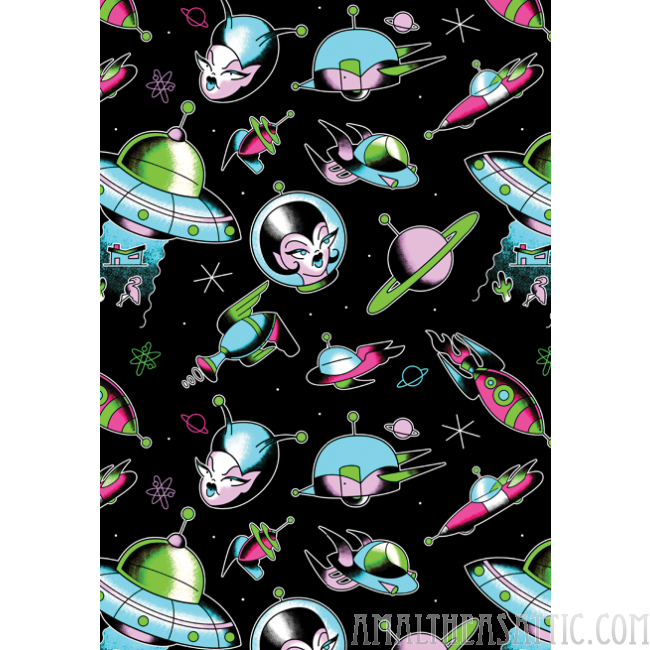 Set those phasers to STUNning with our Space Babes Bad Girl Scarf! 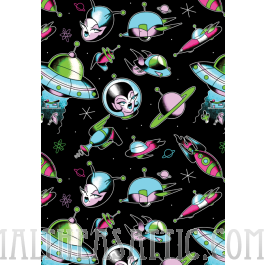 This satiny scarf has an all over print of space babes, ufos, ray guns and more, all on a black background. 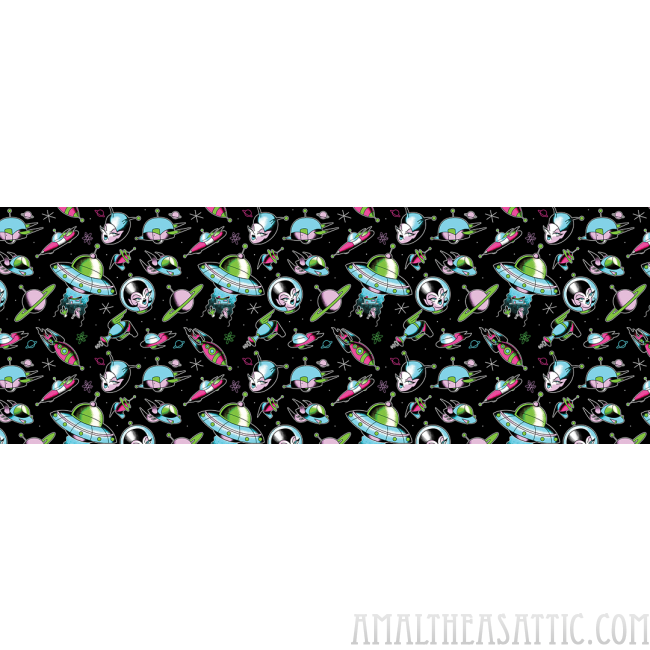 The versatile length is perfect for hair styling, neck accessorizing or even home decorating.